Included in the original 1761 town charter was the requirement to set aside a share for the benefit of a school in Lyme. 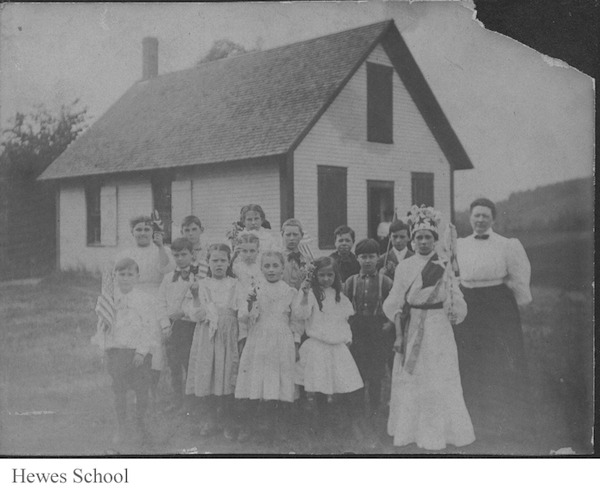 The first settlers arrived in 1764 and the Lyme Historians in their book Patterns and Pieces speculate that the first 15 families who are stated to have settled in 1768 probably were not yet able to afford a separate schoolhouse or schoolmaster. 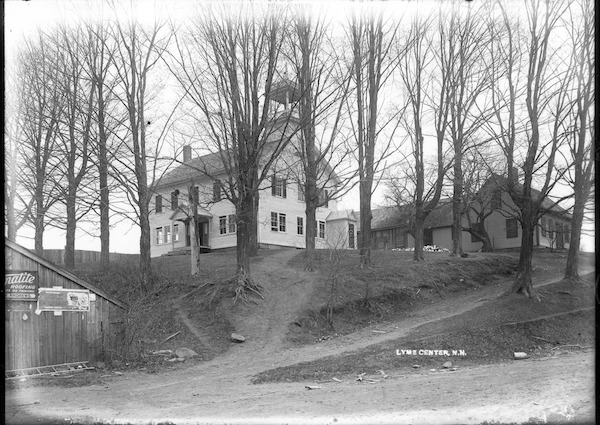 However, we do know that the selectmen of Lyme established eight neighborhood school districts in 1794 in advance of the requirements of a newly passed state law requiring towns of certain size to establish a school house and hire a school master for its children. The number of schools in operation at any one time fluctuated according to population, as well as the season or circumstance (war, disease outbreaks and practicalities of needing the ‘big boys’ to help with work on the farm had some neighborhood schools closed entirely for certain seasons). 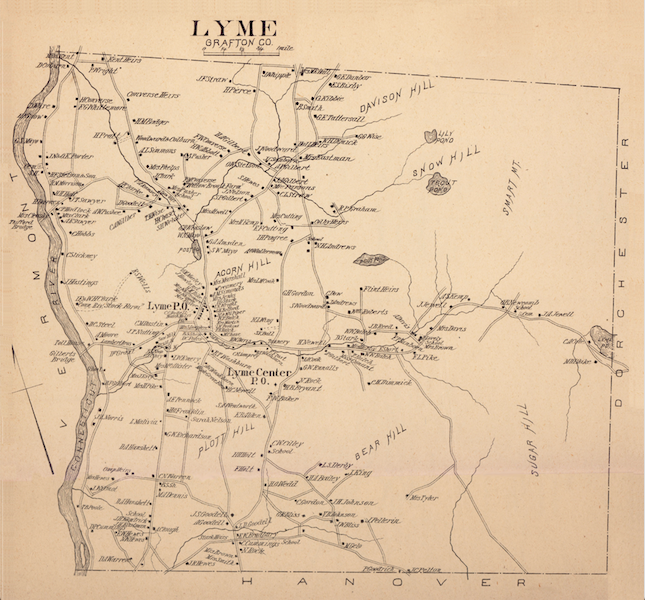 For a few years there were 16 individual schools in Lyme, but by 1878 that had shrunk to 13 and by 1885 all individual districts were abolished by state law (although numbers were still used by Lyme to identify each school). This system remained in place until 1959 when the school districts were consolidated. 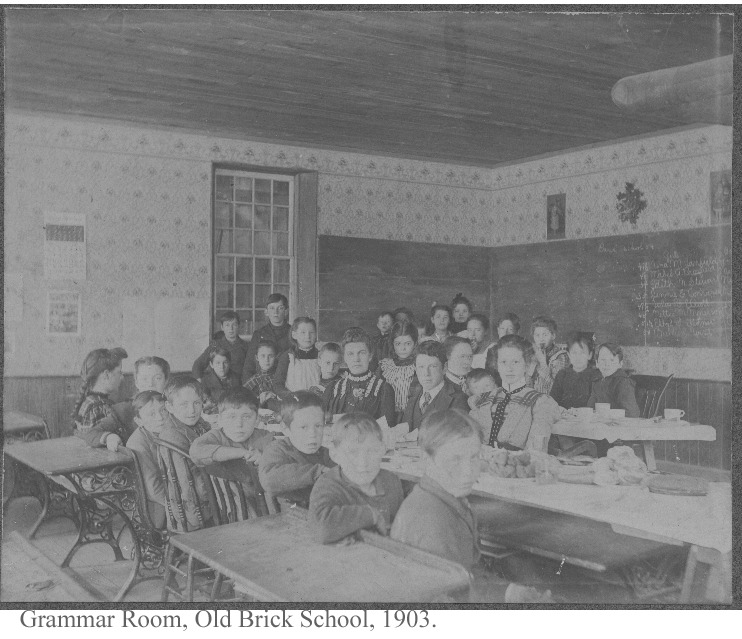 You can see photos of many of these original one-room schoolhouses on display in the front hall at the current Lyme School. The Laura Smith Barnes School building was built in 1958. Construction of this building was made possible by the bequest of George Washington Barnes who died in 1955 and left $100,000 for a public building to be named in memory of his wife, Laura Smith Barnes, on the condition that no matter what the building was used for it be located on the "Old Hotel Lot", site of the Perkins-Warren Hotel which had burned in 1899. The school building is also used for Town Meetings and other community functions. In 1967 a public kindergarten was added to the system. 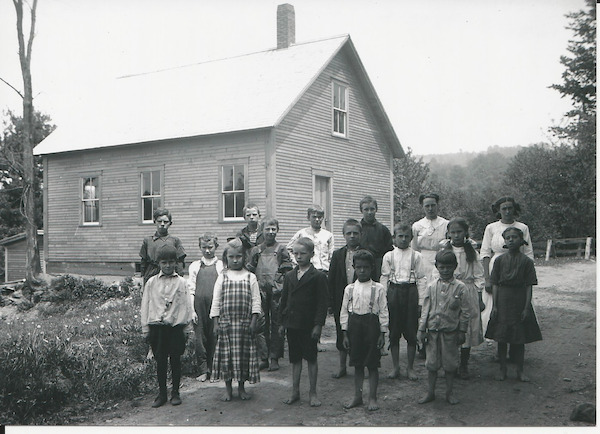 In 2012 our Lyme Historians hosted a special touring event called Lyme Historic Schoolhouses. You can still see many of the old one room schoolhouses yourself. The Chesley Schoolhouse — located at 161 Baker Hill Road —is a wonderful example. It was in continuous operation from 1824 to 1959 and has recently been donated to the Lyme Historians. The Whipple School, pictured above, is also still standing. You can see the outhouse just at the far left side of the photo behind the school. The Hewes School (also referred to as the Sodom School) is another one-room schoolhouse still standing and visible from the road. You've probably passed by it when driving on Dartmouth College Hwy from Lyme to Hanover. The Lyme Center Academy was used as the lower school until 1959 and there are still folks in town that remember going to school there! Now used for community events and classes, you can still visit the building to get a sense of what school was like in this large one room schoolhouse. 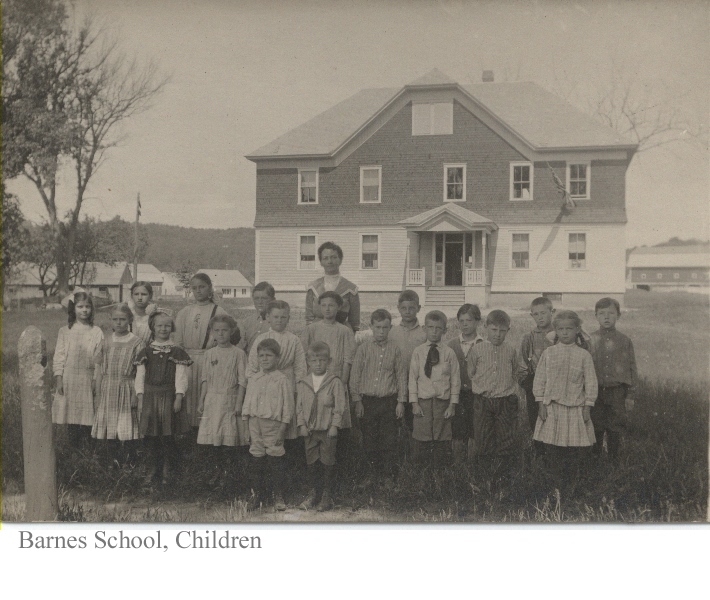 The Barnes School (photo above) may look familiar to you! Although the original Barnes school burned down, it was reconstructed in the same style/plan (as is pictured here). This building was later moved forward on the school property and now houses the conference rooms and the nurses office. The Old Brick School was in rough shape when the town voted to build a new school (the Barnes School). Above you can see the brick school on the inside and the outside. All photos are courtesy of the Lyme Historians. 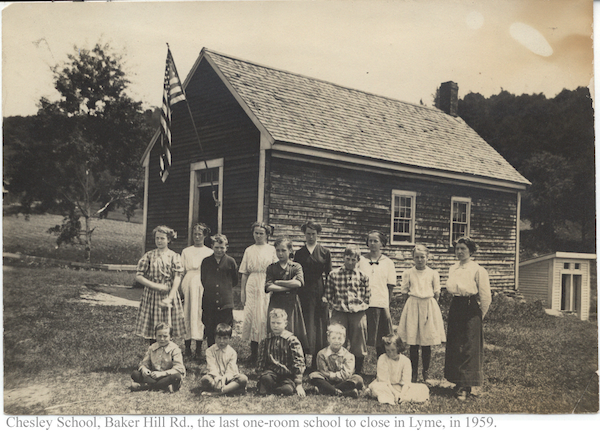 You can find out more about the town of Lyme and the schools by visiting their offices at 15 Main Street or visit their website at https://lymehistorians.wordpress.com.